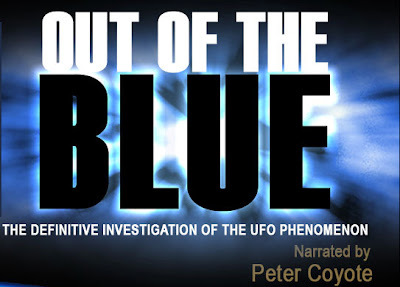 This is truly one of the best documentaries ever made on the UFO phenomenon dwelling into details from credible eyewitness accounts such as Col. Gordon Cooper who witnessed a rare display of UFO antics while he was stationed at the USAF Edwards base. The incident of the Phoenix Lights when these gigantic spaceships moved across the state of Phoenix witnessed by thousands ! The documentary is definitive and brings to light a whole lot of information on the UFO phenomena never seen before. It is about time we shake ourselves from the comforts of our self created realities to the truth of Extra Terrestrial life and the purpose for their frequent visitation especially in the recent times. The Crop Circles do tell us something about a Global Event which is to occur in our near future, 2012 ! 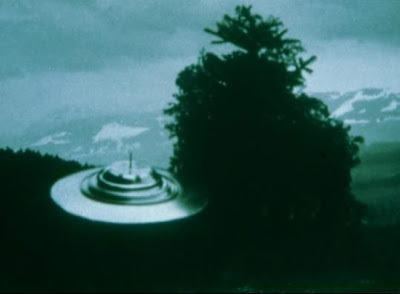 One of the UFOs photographed by Billy Meier who has been contacted by incredibly human looking, EBEs (Extra Terrestrial Biological Entities) from the Pleiades Star Cluster in the constellation of Taurus, the Bull !